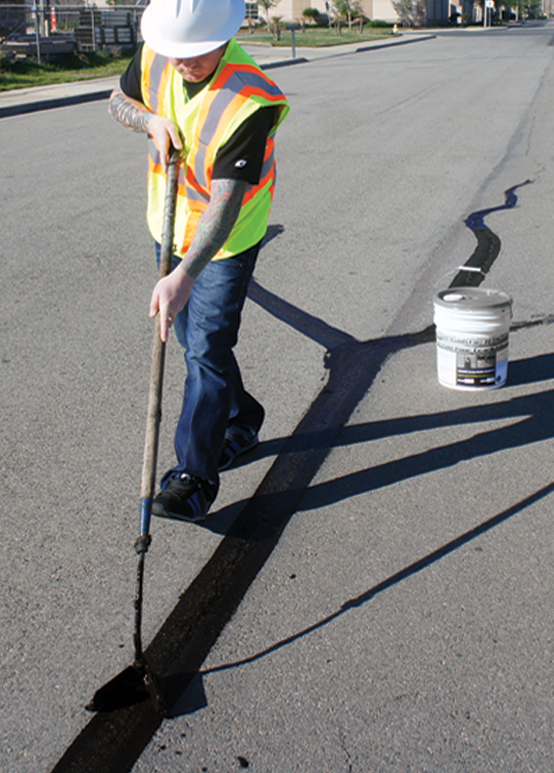 is your solution to enhancing the integrity of asphalt pavement by sealing existing asphalt cracks, which protects the underlying subgrade from premature deterioration and costly structural repairs. Goldstar #315 Cold Pour Crack Filler is your solution to enhancing the integrity of asphalt pavement by sealing existing asphalt cracks, which protects the underlying subgrade from premature deterioration and costly structural repairs. When applied prior to sealcoating using Goldstar’s premium Goldcoat HP#310 sealcoat, Goldstar #315 crack filler reduces the appearance of cracks in your asphalt surface further beautifying and protecting your asphalt pavement. Ready-To-Use (RTU) from the bucket. Easy and safe to install; Quickly and easily fill thousands of feet of cracks in a matter of hours. Perfect for owners looking to reduce their asphalt maintenance budget by self performing their basic asphalt maintenance needs. Performs well in all climates. Engineered to withstand pavement expansion and contraction. 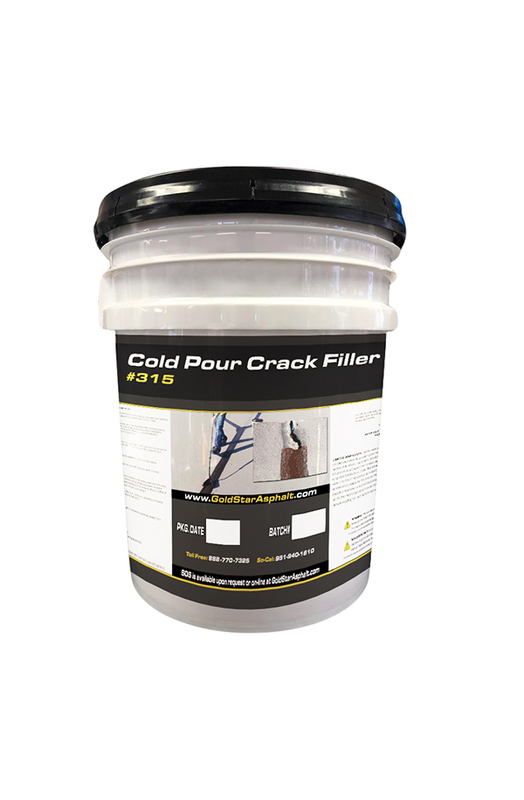 Goldstar #315 Cold Pour Crack Filler is Used by Contractors, Public Agencies, Property Managers and Schools. Available in individual 5 gallon buckets, 36 bucket pallets, 55 gallon drums & 250 gallon totes.